YUSUFALI: And then doth make it (but) swarthy stubble. PICKTHAL: Then turneth it to russet stubble. SHAKIR: Then makes it dried up, dust-colored. 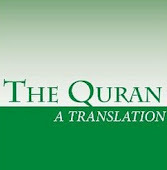 YUSUFALI: Except as Allah wills: For He knoweth what is manifest and what is hidden. SHAKIR: Except what Allah pleases, surely He knows the manifest, and what is hidden. YUSUFALI: And We will make it easy for thee (to follow) the simple (Path). PICKTHAL: And We shall ease thy way unto the state of ease. SHAKIR: And We will make your way smooth to a state of ease. YUSUFALI: Therefore give admonition in case the admonition profits (the hearer). PICKTHAL: Therefor remind (men), for of use is the reminder. SHAKIR: Therefore do remind, surely reminding does profit. YUSUFALI: In which they will then neither die nor live. PICKTHAL: Wherein he will neither die nor live. SHAKIR: Then therein he shall neither live nor die. YUSUFALI: And glorify the name of their Guardian-Lord, and (lift their hearts) in prayer. SHAKIR: And magnifies the name of his Lord and prays. YUSUFALI: But the Hereafter is better and more enduring. PICKTHAL: Although the Hereafter is better and more lasting. SHAKIR: While the hereafter is better and more lasting. PICKTHAL: Lo! This is in the former scrolls. YUSUFALI: The Books of Abraham and Moses. PICKTHAL: The Books of Abraham and Moses. SHAKIR: The scriptures of Ibrahim and Musa.